A parent recently contacted me shortly after her baby was diagnosed as “deaf” with a bilateral, moderately-severe sensorineural hearing loss. Like 95% of families who have children with hearing loss, no one in their family (except an aging great aunt) had ever been diagnosed with hearing loss, and they had no idea what to do. They felt helpless. Tearfully, the parent explained that the family was very musical; grandparents, parents and the two older children all sang and played musical instruments. Family members were devastated that this new, precious baby would be unable to participate or even appreciate this very important feature of their family life. The parents also feared that hearing aids would destroy any natural musical ability the baby might have, and so, were very reluctant to use them. The family had been referred to me by their early intervention provider; parents wanted a second opinion and more information. Mostly, I believe the parents were looking for reassurance, and for conversations addressing how this new baby could become a full, participating member of their musical family. As with all families, we need to begin our hearing loss conversations by asking about their desired outcome. How do the parents want to communicate with their child? What language(s) do they use in the home? The parents were very clear – they wanted to communicate using listening and spoken language, and English is their home and community language. Early intervention protocols recommend that parents speak and teach their child their home language; the language where they have the most to say and know the most words, including the family’s love phrases. Next, with the family’s desired outcome of listening and spoken language in mind, we discussed the big picture of hearing loss. We began with the definition of hearing as brain perception of auditory information. That is, the ears are the doorways through which auditory information from the environment, such as the parents’ talking and singing voices, gets to the brain. Actual hearing occurs in the brain, not in the ears. Hearing loss, therefore, can be viewed as a “doorway problem”, as an obstruction that prevents a little, a lot, or all auditory information from reaching the brain. Auditory information is necessary for learning spoken language, for reading, for singing, and for obtaining knowledge of the world….so lack of clear information to the brain will interfere with the child learning to listen, talk, read, sing, and make friends. Fortunately, we have a way to breach their child’s blocked doorway – hearing technologies. Hearing technologies, such as hearing aids or cochlear implants are designed to break through the obstructed or closed ear/doorway to permit access, activation, stimulation, and development of auditory neural pathways with auditory information, including spoken language and music. There is only one purpose for wearing hearing technologies: to get auditory information from the environment through the doorway to the brain for knowledge development. So, if listening, spoken language, literacy and music appreciation are desired outcomes for this family (or any family), the baby must wear her appropriately fit technology 10-12 hours per day. But, technology alone is not sufficient for brain growth. The child also must be immersed in a conversation-enriched (talking, reading aloud, and musical) environment in order to nurture her brain with world-knowledge necessary for spoken language and literacy development. In addition to having conversations and read alouds with their baby, families are encouraged to introduce music activities, from day one. Music is a very important brain enrichment practice that we should recommend for all children. For the family in this scenario, music is a fundamental part of their family culture. You see, children also have a musical brain. With adult-directed singing, the words of the music primarily stimulate the left hemisphere of the brain, and the rhythm primarily stimulates the right hemisphere. The two hemispheres connect via the Corpus Callosum. That connection is called interhemispheric transfer. Music, therefore, is a wonderful, whole brain workout for a baby. Another vital neurological aspect of singing and rhythmic movement involves the vestibular/balance system that also is located in the inner ear. As parents move, rock, sway, and bounce to the music while cuddling their baby, the vestibular system is engaged, further activating and enriching the baby’s brain. I assured the parents that we can start enriching their baby’s brain with music right away, in day-to-day life, in a fun and loving fashion involving all members of the family. Musical elements underpin all of language and literacy development. The rhythm, the high and the low sounds, the soft and the loud sounds, are all part of spoken communication; language is indeed musical. Babies, including babies with hearing loss, are organically tuned to the musicality of speaking and to the sing-song nature of their parent’s voices right from the start, if they receive early musical experiences through their hearing aids or cochlear implants. As an added bonus, music enrichment in infancy and early childhood facilitates literacy development. Foundational components of literacy are rhythm, rhyme, and repetition — skills which are at the heart of early musical programming. Therefore, professionals should recommend a thoughtful and developmentally appropriate music program to families that can be integrated enjoyably into daily activities. There are several music enrichment programs on the market for babies and toddlers. One program that is strategically designed and easily accessible in a downloadable application format is called BabyBeats. BabyBeats is a valuable resource shared by AB and Phonak that is specifically designed for babies and toddlers with hearing loss and their families. The reason I think BabyBeats is an effective and parent-friendly program that should be recommended to our families, is because it integrates critical nonverbal and preverbal skills for maximum neural stimulation. BabyBeats facilitates parent-child bonding and sets the brain up for literacy. It offers amazing strategies for enriching and growing a child’s critical auditory neural capacity. Following multiple conversations with the family mentioned at the beginning of this blog post, the parents expressed hope and encouragement. Data logging revealed that hearing aids were in fact now being worn daily for an average of 10 hours. Parents conveyed an understanding of the doorway/brain concept and felt empowered with strategies for growing their baby’s brain by talking, reading aloud, and by engaging in daily musical activities using the BabyBeats Program. 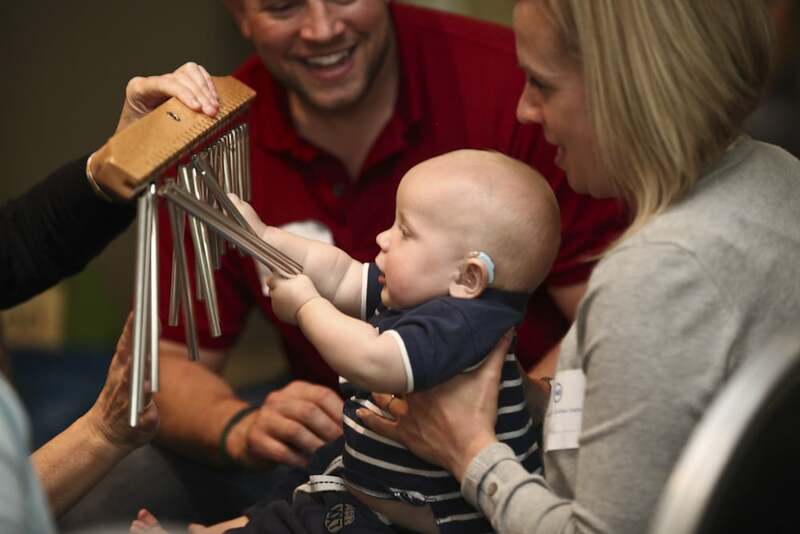 As they observe their baby’s aided responses to their voices and to music activities, they now believe that if they do what it takes, this baby can indeed be a participating member of their family. If you would like to learn more about how music benefits communication development, here is a short clip from a recent interview with Dr. Carol Flexer and Chris Rocca, the creator of BabyBeats. Such important information to be shared. 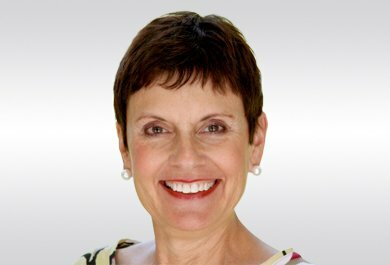 Carol Flexer, Ph.D., is an international lecturer in pediatric and educational audiology. She is author of more than 155 publications, including 14 books. She is past president of the Educational Audiology Association, the American Academy of Audiology and the AG Bell Academy for Listening and Spoken Language.